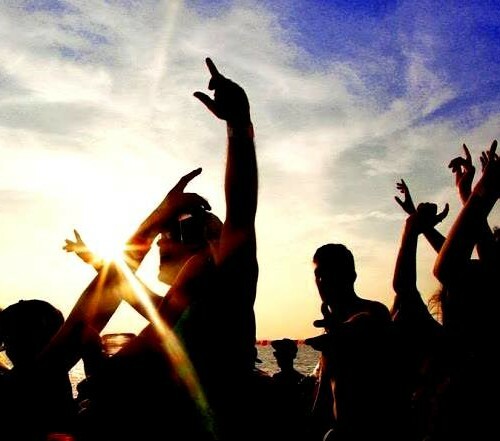 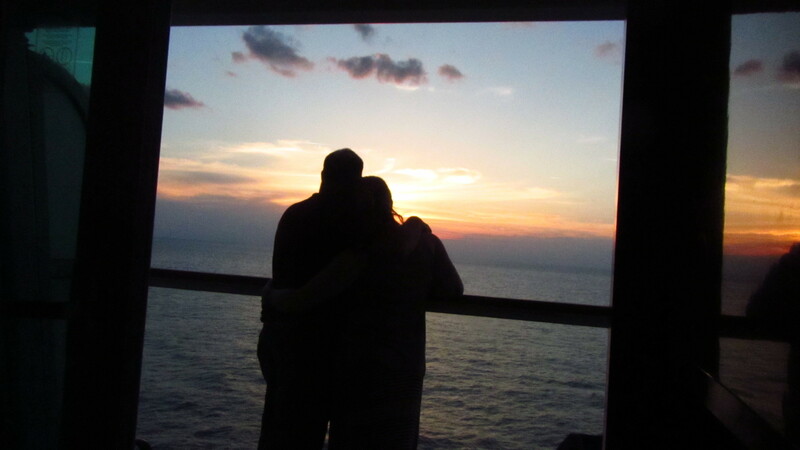 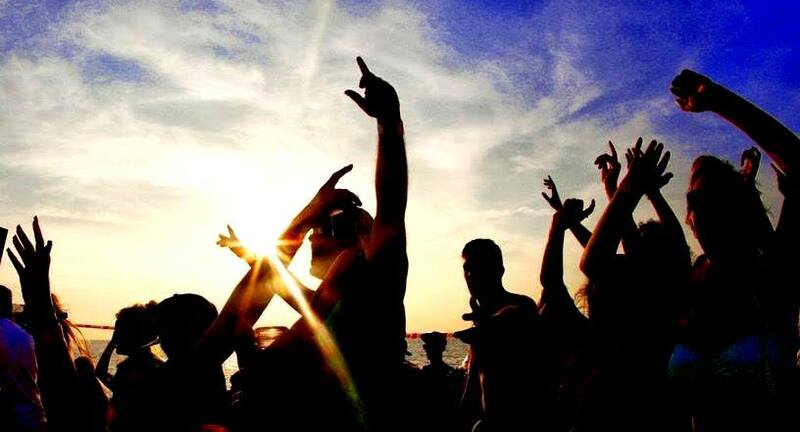 Nothing is more enjoyable in the Bahamas Islands than celebrating the end of a miraculous day on a sunset cruise. 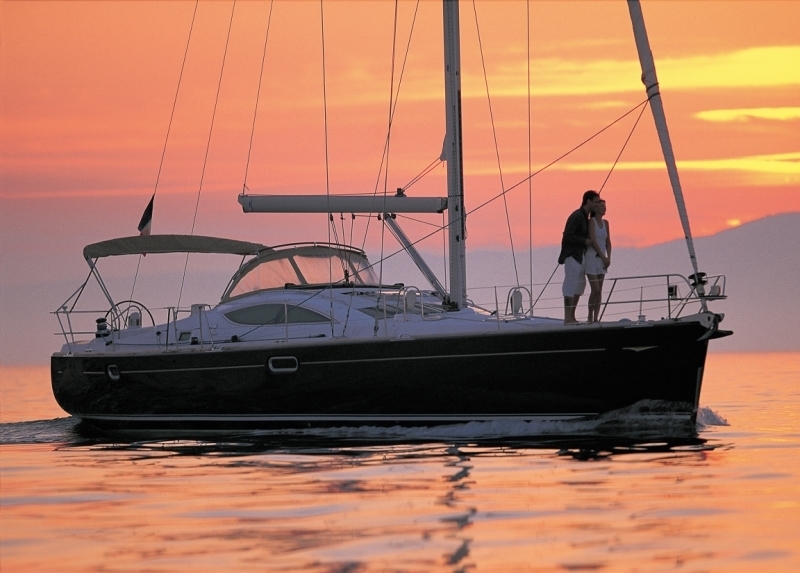 Glide along the sparkling waters and experience the magic of the Bahamian sunset while being pampered on your own luxury yacht charter. 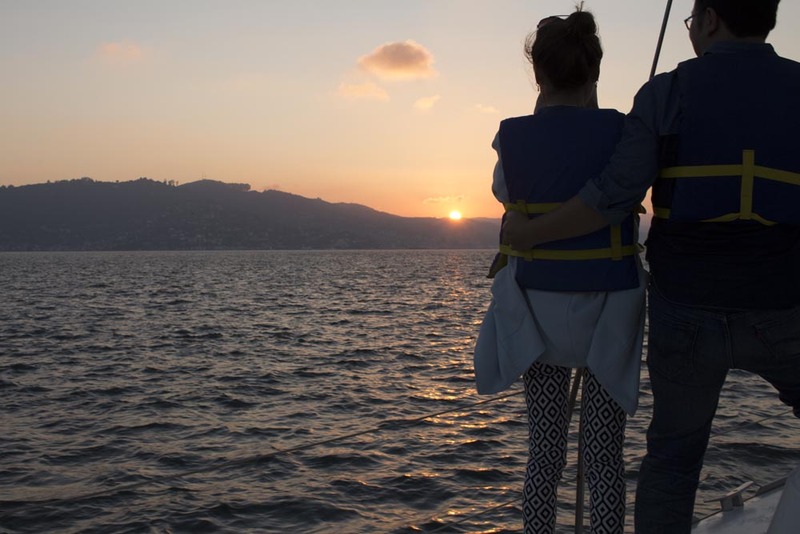 With breathtaking views and beautiful surroundings all around you, enjoy an unforgettable evening excursion on a private yacht with your loved ones. 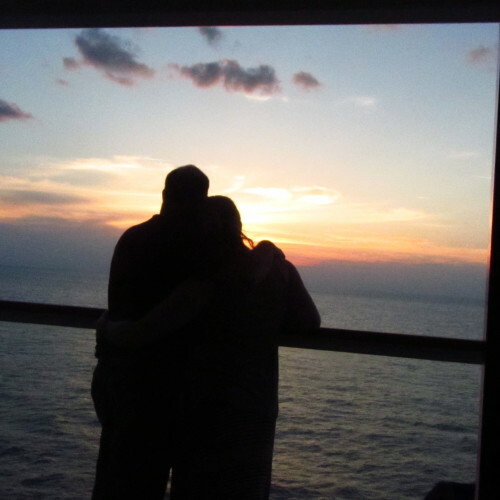 Whether you're on a honeymoon trip, celebrating your 50th anniversary or planning a special birthday celebration, our sunset cruises will enable you to disconnect from the world, and indulge in the Bahamas paradise. 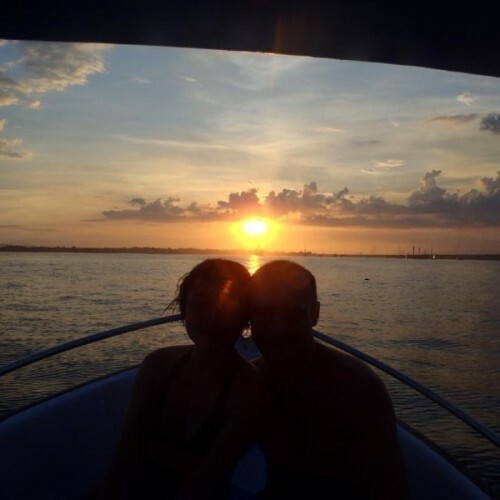 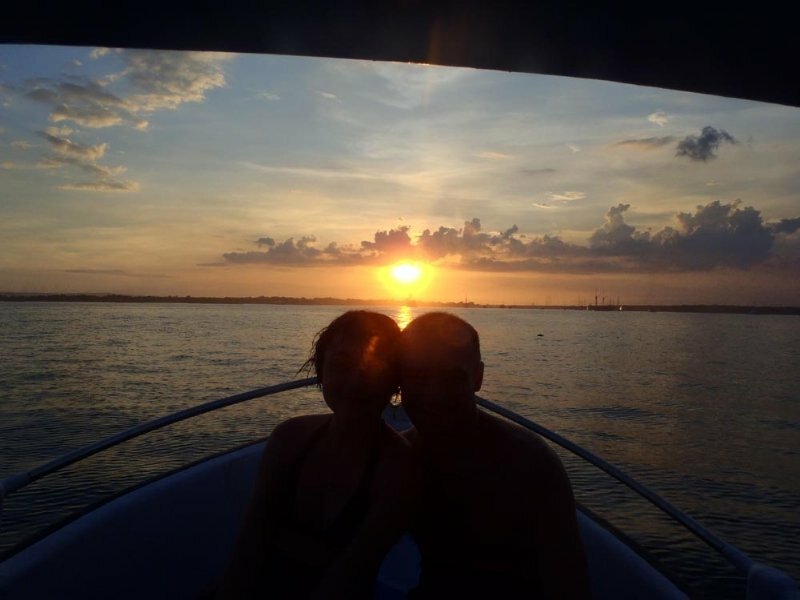 Sunset cruises are the perfect ending to an amazing long beach day. 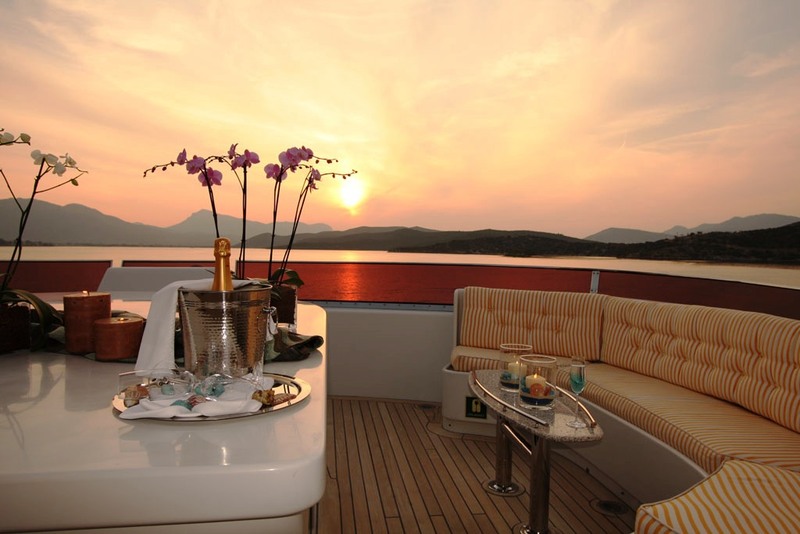 Imagine yourself sipping champagne while relaxing on your yacht deck under the dusk sky. 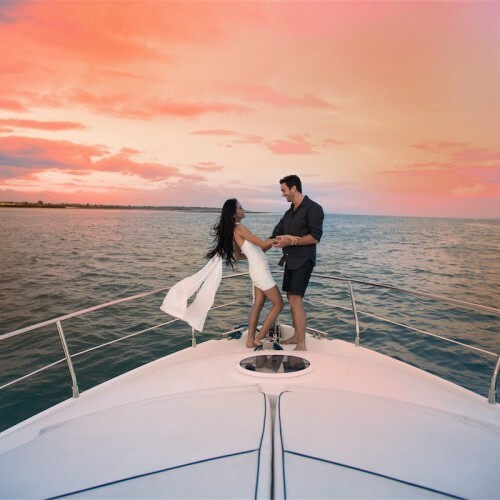 Our private yacht charters are designed to extend your 5-Star hotel stay to the tropical beauty of the Bahamas coast and what could make this trip better than having a meal prepared by your own on board chef with your friends and family present to enjoy it with you. 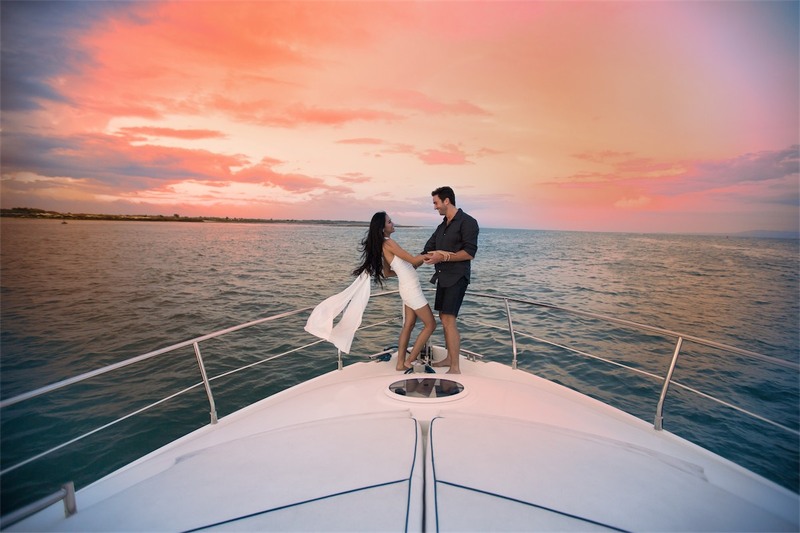 The combination of our experienced crew, impeccable yacht, and dine in cuisine are guaranteed to be an experience like no other.From Nassau & Paradise Island to Eleuthera, we offer sunset cruises throughout the tropical islands of the Bahamas. 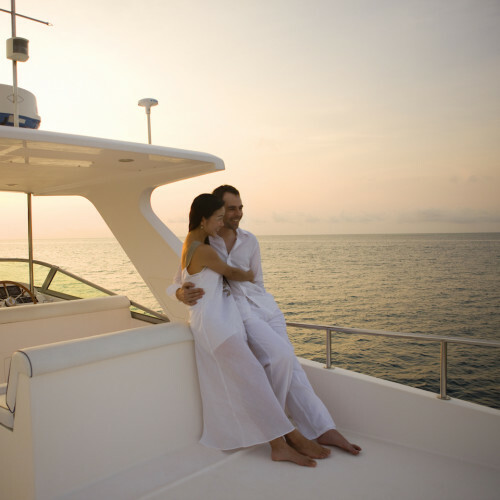 State-of-the-art catamarans, power yachts, and sailing vessels are available for a romantic sunset cruise for you and your special someone. 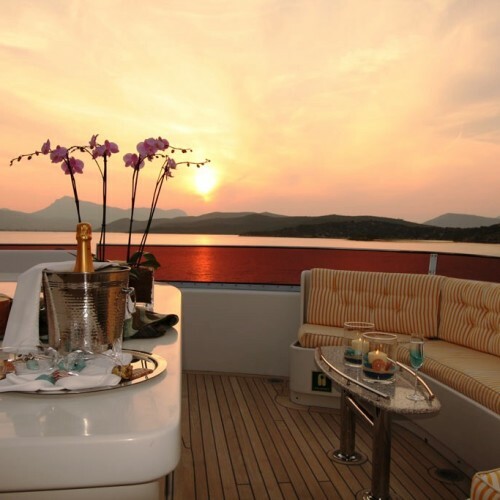 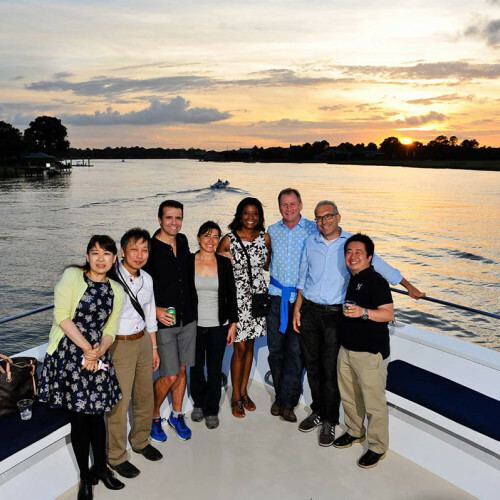 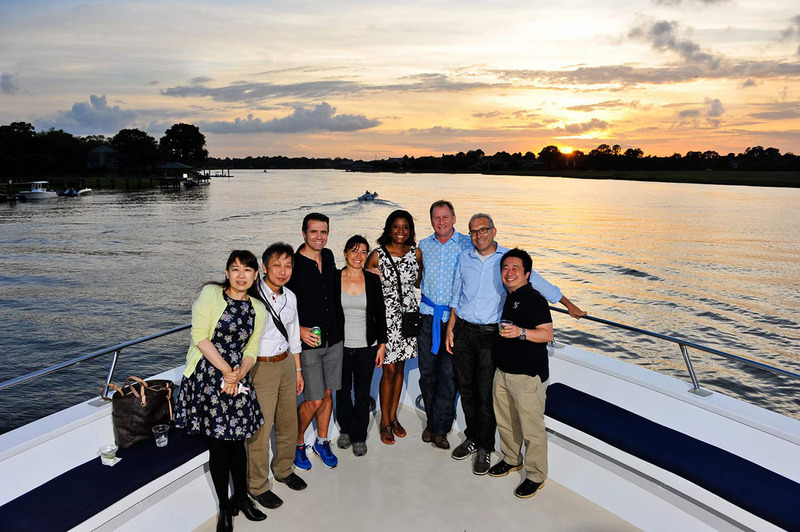 If you want to host a corporate event, we can provide you custom private yachts, featuring spacious lounge areas, cushioned seating area and buffet dinner party. 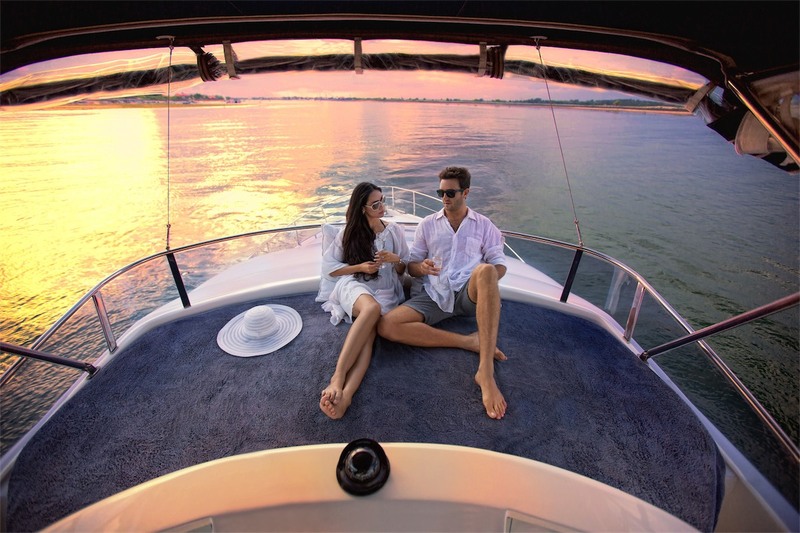 It’s as simple as selecting the yacht you want to charter and then sit back and enjoy the dusk lore that Bahamas has to offer, and let us take care of the rest.